Career and Employability Services Welcome to Careers – how can we help you this year? It’s that time of year again when we welcome new and returning students for a new and exciting academic year. There’s a lot to take in at the moment, but we just wanted to highlight some of the things we’re doing in Careers that might help you find a job, improve your skills and broaden your horizons. My Career and Employability Centre is our great new resource available to all students that features a database of part-time jobs (including jobs on campus), internships and placements, and graduate jobs, some of which are exclusive to #teambradford students. There’s also details of our events and workshops and you are now able to reserve appointments online. Log in now to check it out. Our workshop programme for semester one features help finding part-time and graduate jobs, advice on CVs, covering letters, applications and interviews and more. There’s also professional insights from a range of employers including the Civil Service, NHS and DWP. Did you know there’s a range of funded study or work placements that you can apply for? You can get help and advice with finding opportunities all over the world from short term travel to a full year abroad. To find out more, see the website or come and chat with an adviser at a drop-in session, every weekday from 13.00-14.00 in Careers, Student Central. Our mentoring programme is accepting applications now. So if you’d like to connect with an experienced professional who can offer valuable help and advice based on their experiences, see the details and get your application in by Friday 16 November. 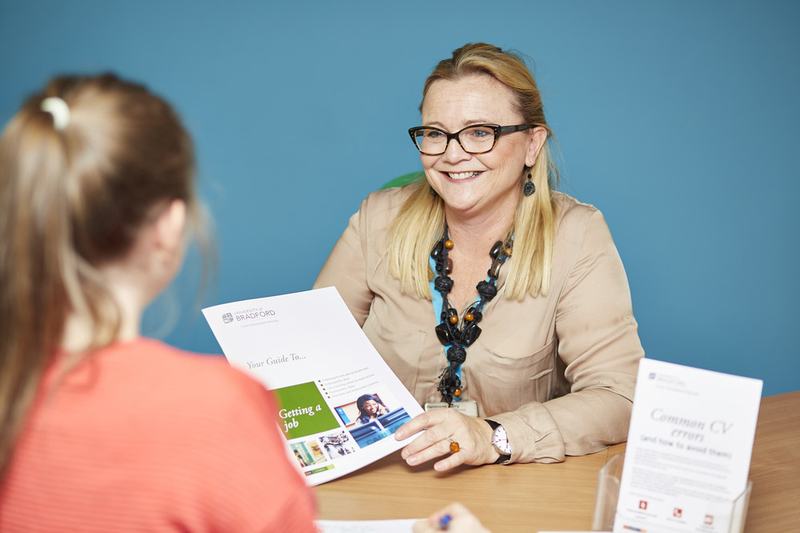 And of course, one of the main reasons we’re here is to give support and guidance through one-to-one appointments on all career-related matters. So if you are looking for advice on any part of the job seeking process, planning your career, considering a course change or anything else you can think of, come and see us in Careers, give us a call on 01274 234991, or see our webpage to see how we can help. Good luck for semester one, and remember that we’re open throughout the week if you need us!